Last December I stripped the injection system off the Rover to replace all the aged, cracked and failing fuel hose. The original hoses were bad, and the fuel regulator hose was leaking fuel. 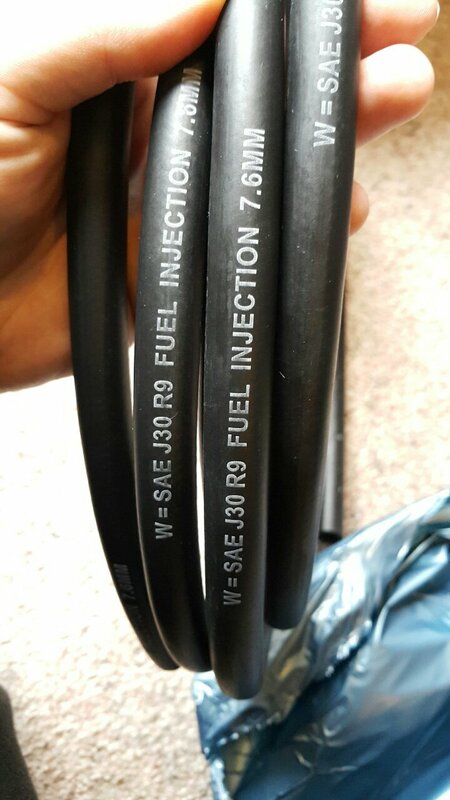 To solve this issue I made some calls locally, but no one sold the 7.6mm EFI fuel hose that I needed, so I went online and found a supplier in the UK that had exactly what I needed. I did purchase the hose on eBay, but it was from a “reputable” supplier by the name of Advanced Fluid Solutions. AFS. You can buy direct from their site too. It is not the only hose they sell, and no doubt they sell high quality hoses too, but this is the one that is failing and it is still available. The hose was SAE J30 R9 rated, so rated for EFI, Ethanol fuel, and resistant to heat damage. It’s a high rating, and basically good for everything except being submersed in fuel inside a tank. It was date stamped 2016. I made a post the other day about the new, 10 month old, fuel hose cracking. I thought maybe this was something to do with the operating condition, but the hose really wasn’t subject to anything extreme. Maybe a little heat radiating from the exhaust manifold, but it wasn’t above or even really too near the manifold. This is one of the cracking hoses. It had cracked the external rubber, but thankfully wasnt leaking. This wasn’t the only hose that was cracked, it was the only one I took a photo of at the time though. I removed the cracked hoses and replaced them with more of the spare AFS hose. Sure enough, a month later that hose is now starting to show cracks too. I posted this information on a couple of forums, and a few members popped up saying they had suffered the same issue. This prompted more members to go check their hoses, and even more of them had cracked hoses. Most of them had purchased their hose from AFS, or at the least had a similar look and similar marked hose. One thing I didn’t do when I was searching for fuel hose online, was to search for “AFS R9 hose failure”. If I had, I would have been shocked, and forewarned. It turns out it’s a common issue, and seems to be pinned down to low quality Chinese knock-off hose being sold as high quality, high rated hose. How do you quickly identify the hose in question? The white printing on it. If it has similar to this printed on it, be warned. The key is apparently the “W = SAE ***” printed on it. 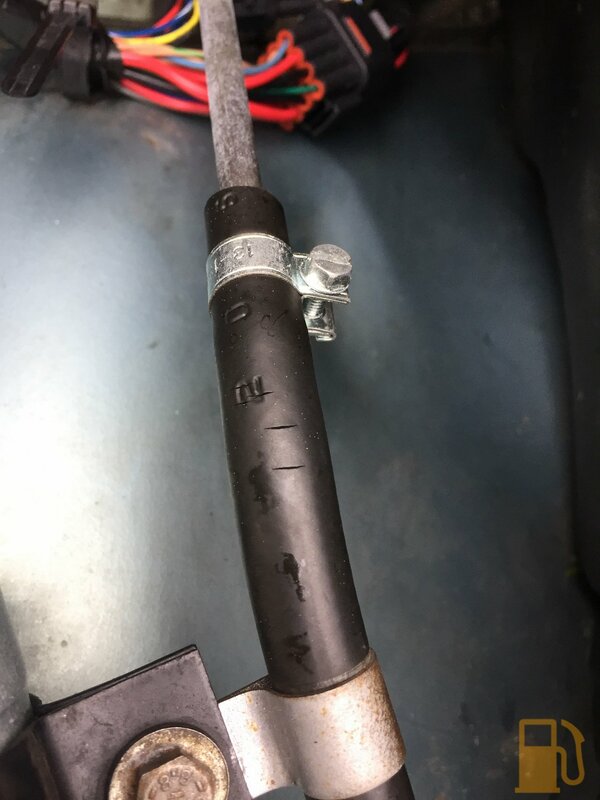 There was even a car restoration company in the UK that issued a recall notice for all cars they had installed similar hose into, as they noticed the hose was cracking and failing prematurely. They had to replace all the hose again, at their cost. Some owners have also noted that when Ethanol blend fuels are used the hose was softening and ballooning at times. Generally not good. You don’t need to look far for more horrible looking hoses that were generally fitted within 24 months of failure. There’s plenty more where that came from. So if you have any of this hose, PLEASE CHECK IT IMMEDIATELY. Better yet, bin it and buy a quality hose from a reputable brand (Codan, Gates, Goodyear etc). Unfortunately no one seems to do those good brands in 7.6mm, so I will have to make do with a quality 8mm and just be careful. I have reached out to AFS regarding the failure of my hose, but as yet have not heard from them. Next Post Mazda MX5 NB, Welcome.